FINANCIAL DISTRICT — Esther Regelson is not the kind of person who can hear about the devastation wrought by the BP oil spill and then continue on with her daily life. Regelson, 51, a Financial District resident, was so distraught over the decimation of the Gulf’s wildlife that she flew down to Louisiana late last month and spent two-and-a-half weeks documenting the damage. "I can’t watch if from far away without getting supremely depressed over it," Regelson told DNAinfo shortly after she returned to New York. "The only partial respite from despair is to go and just jump in." Working with nonprofits Kinship Circle and World Animal Awareness Society, Regelson traveled through the island-dotted marshland that extends out from New Orleans into the Gulf of Mexico. 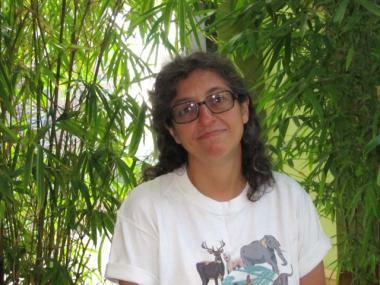 Esther Regelson, a Financial District resident, said impact of the BP oil spill on wildlife in the Gulf of Mexico is devastating. Evidence of the disaster was everywhere. Globs of black oil bobbed on the surface for miles, casting a glossy sheen. Birds dove into the water for fish and came up coated and sticky. Sea turtles mistook the dark blobs for seaweed clumps and gobbled down poison. Even if the oil spill is finally capped now, Regelson said the impact on the wildlife is just beginning. The oil is gradually killing the marsh grasses, allowing water to overwhelm habitats that were once teeming with bird life. While Regelson has rescued animals from disasters going back to the 1989 Exxon Valdez oil spill in Alaska, she did not have enough training to work with the Gulf’s many endangered species. Instead, Regelson, a sound editor by trade, shot video of rescues and interviewed experts for a documentary project called All Eyes on the Gulf. 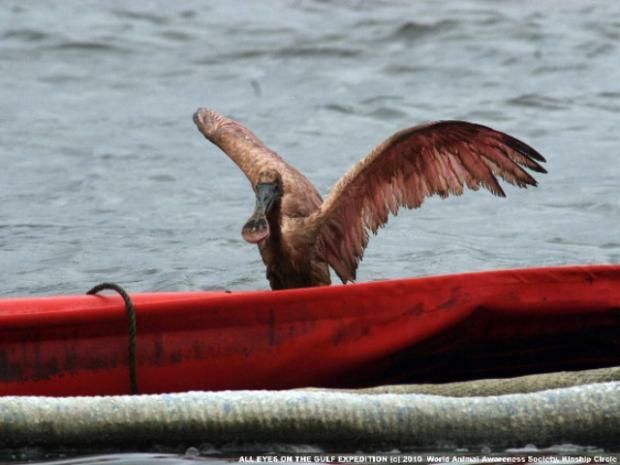 One of the saddest moments, Regelson said, was watching rescuers try to capture a pelican that was covered in oil but could still flap its wings well enough to escape. "Sometimes you have to wait until it can’t fly," she said. Even the successful rescues, like a young spoonbill that is now in rehabilitation, were bittersweet. Many of the rescued birds left behind a mate and dependents who would likely starve with their head of household gone, part of the spill’s extensive collateral damage, Regelson said. Regelson, a Richmond, Va. native, has always loved animals and received formal disaster training after 9/11 as part of the Battery Park City Community Emergency Response Team. Regelson last traveled to New Orleans with fellow CERT members after Hurricane Katrina, to rescue the abandoned pets that roamed the city. Despite her frustration at not being able to do more to mitigate the effects of the oil spill, Regelson said she is glad she went to the Gulf. "As helpless as I felt, as daunting as the task was, I was doing something," Regelson said. "I could show the world a little bit of what’s going on."